We think this nonsense of killing these huge fish for a photo op – be it large halibut, billfish, tuna, sharks, grouper or other top predators – is going to increasingly become looked down upon. The practice is not sustainable, and a dead marlin of this size makes for a sorry picture indeed. I think the short version is that we can’t get away from two ideas. 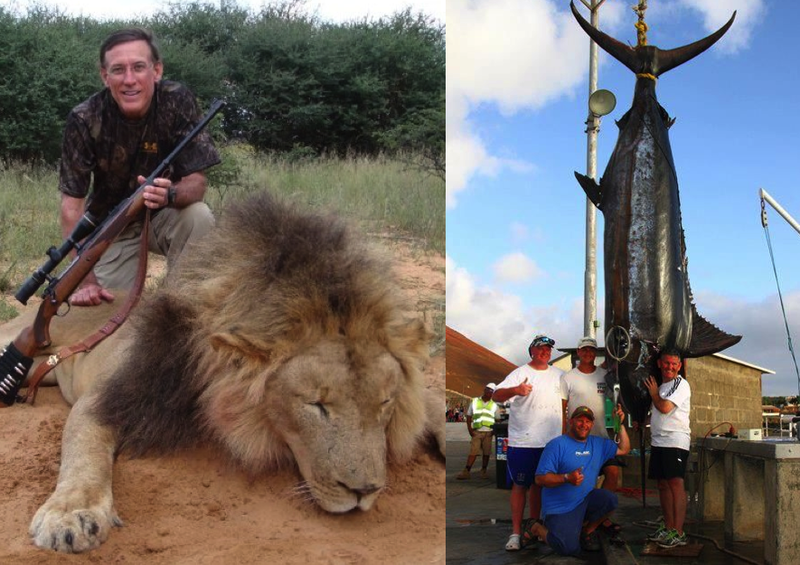 One is that the less the animal is like us, the more killing it for purely sporting reasons is OK. The second is that the image of the seas as self-renewing pools of unlimited resources just won’t die. That said, another distinction is that it’s socially acceptable to eat the one on the right, and not the one on the left. So the one on the left is seen to be a “waste” while the one on the right is just food to some people. Most people don’t look at animals and think about the critters’ trophic position, they classify as yummy or not yummy.